inside and around a building. you can use virtual reality for information purposes in a way that has not been possible before. With our icons and drawing tools you can customize a simulated reality and share it easily. Get access to thousands available 360° aerial views over several countries and cities or order unique views over your own properties. Customize VR views with drawing tools and icons and share it easily with ex. Clients, project managers, colleagues or entrepreneurs. Hotspots in a view can be linked to ex. A video, website or be seen as a comment. Create a VR gallery over your own building or specific areas. All views can be re-used and customized after your needs with our platform. See examples Novi Real Estate, Catena and Vasakronan and create 360° VR tours to highlight larger areas and let visitors navigate through exterior and interior locations. Designed to work with both web, mobile and VR-glasses. See examples like Vasakronan and create 360° VR tours to highlight larger areas and let visitors navigate through exterior and interior locations. Adapted for both web, mobile and VR-glasses. Order high-resolution images from your own 360° views. Use VR glasses for information purposes. 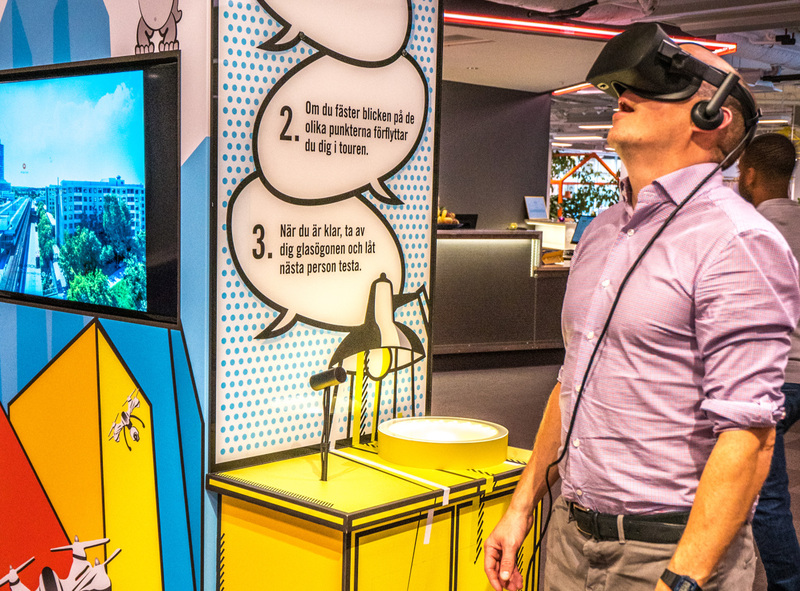 A VR station can for example be put up in the reception or at an exhibition to give the employees and visitors a superior understanding of reality.